In St Pancras the older steam trains arriving from the East Midlands are now departing Europe at a 300 Km/h speed. This node of communications connects London not only with cities like Nottingham or Sheffield but also with Brussels and Paris in just two hours. 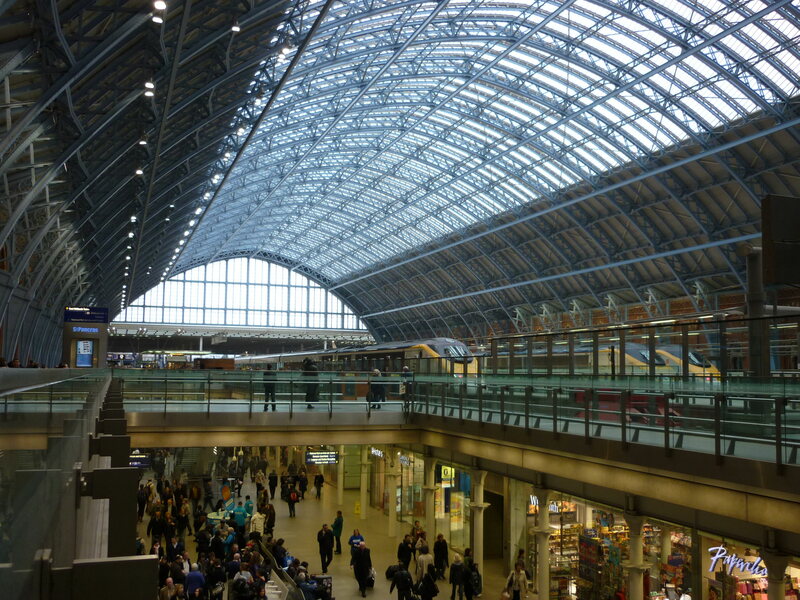 During the 2012 Olympics, St Pancras will be the terminal for the Olympic Javelin Train. A service that promises to ferry spectators in seven minutes to the London Olympics site. 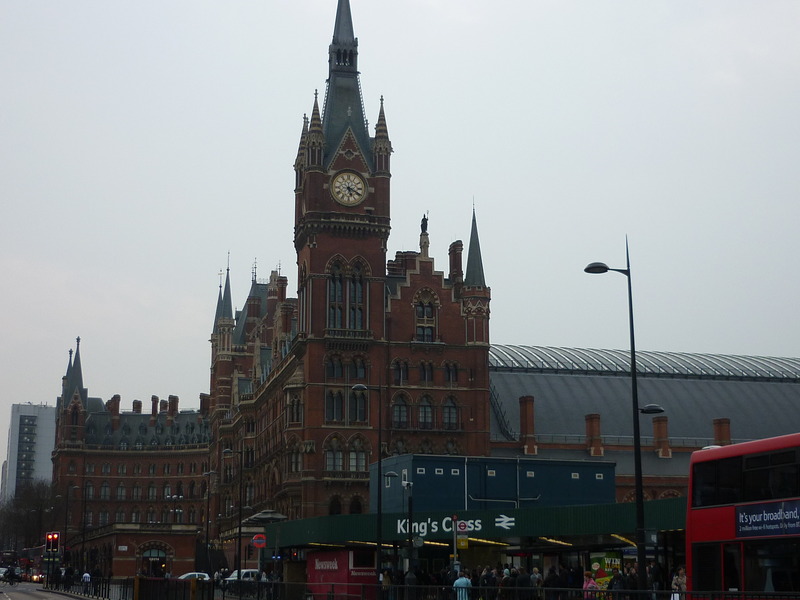 Also known as the cathedral of the railways, London St Pancras is praised for its Victorian architecture. 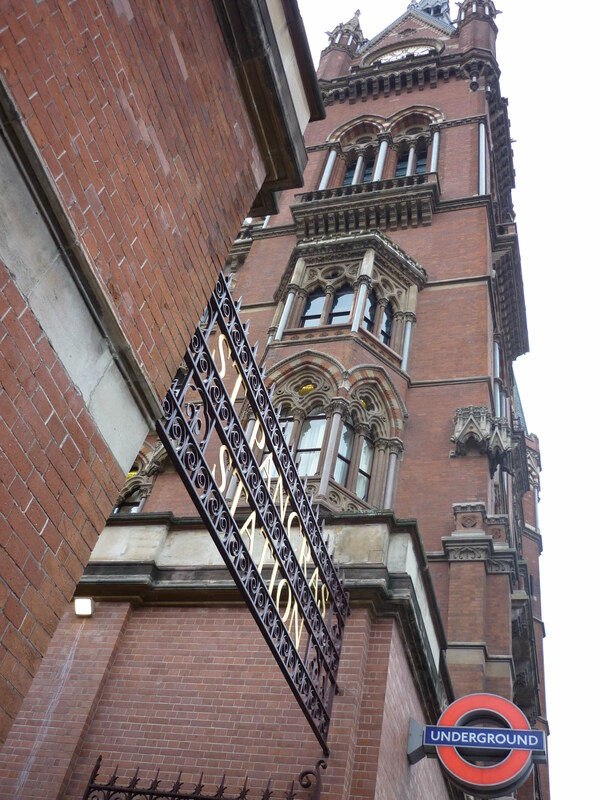 Its facade, formed by Gilbert Scott’s Chambers , is a magnificent example of Victorian gothic architecture. Alongside Henry Barlow’s train shed and the modern platforms for high speed trains, all together makes of St Pancras a subtle blend of tradition and modernity. St Pancras train shed. Designed by the engineer William Henry Barlow. But St Pancras has its own hero. In a quieter area of the station there is a bronze statue of Sir John Betjeman. This laureate poet, journalist and enthusiast of Victorian architecture leaded a successful campaign in the sixties to save St Pancras from demolition plans. Now his bronze witnesses the arrival and departure of all trains. 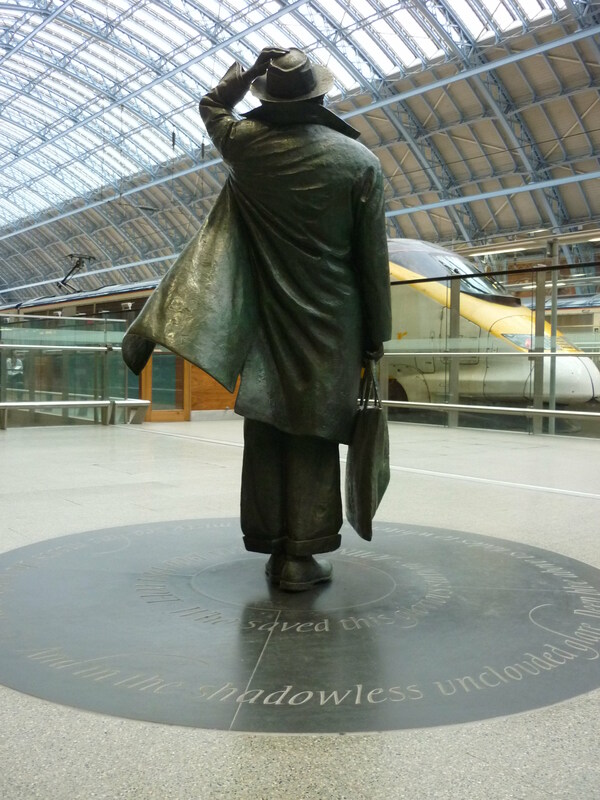 Betjeman's Bronze with his lines: "And in the shadowless unclouded glare/ Deep blue above us fades to whiteness where / A misty sea-line meets the wash of air"